While Smith and Townsend were engineering this repair, The Beatles went for a cup of tea in the studio kitchen. George Martin, not impressed by this carry on, decided that the Beatles were not worth the effort and took himself off to the canteen, leaving Assistant Producer Ron Richards in charge. Richards was more familiar with pop and rock'n'roll than Martin, who had a background in classical and comedy recordings. Richards explained to The Beatles that rather than work their way through their list and hope for a perfect take of each song, it would be more effective to limit themselves to four songs and to perform four or five takes of each. The Beatles chose to begin the evening's proceedings with Besame Mucho, (which they obviously thought highly enough of to make their opening song of their opening medley). This song, written by Consuelo Velazquez and Sunny Skylar, was a Latin standard that the Beatles knew from The Coasters' 1960 single (Atco 6163). on Anthology 1 in 1995. This recording eventually surfaced on the unissued 1985 compilation album, Sessions , from a private reel discovered in 1983. The final line has been looped to repeat during the fade-out by producer Geoff Emerick. This version eventually received an official release on Anthology 1 . Next up, The Beatles chose to showcase their own songwriting skills, beginning with a song that McCartney had written in 1958, Love Me Do. Richards and Smith had not been impressed with Besame Mucho, but this next song, simple but catchy, made them prick up their ears. 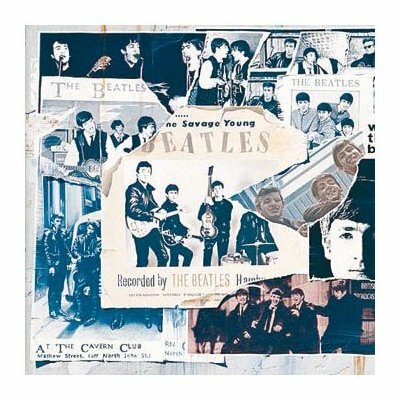 "Norman said to me 'Go down and pick up George from the canteen and see what he thinks of this," tape operator Chris Neal told Mark Lewisohn in The Complete Beatles Recording Sessions . George Martin returned, and took over the rest of the session, making several changes to Love Me Do. 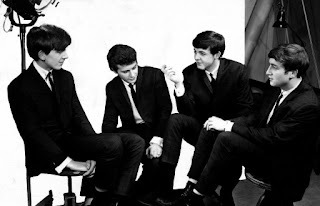 "When we went to London for the first recording, Love Me Do was a slow number like Halfway to Paradise, you know, DUM-di-di-di-DUM," Lennon told Melody Maker in their 9th February 1963 issue, and quoted (attributed to McCartney) in Bruce Spizer's Beatles For Sale on Parlophone Records "but George Martin our recording manager, suggested we do it faster. I'm glad we did." Martin also suggested adding the song's distinctive harmonica riff, after hearing Lennon playing on their version of Bruce Chanel's Hey! Baby! , one of the songs on their prepared list from earlier in the day. Because Lennon couldn't sing and play the harmonica simultaneously, Martin swapped the lead vocal from Lennon to McCartney, much to McCartney's dismay. The Beatles' first version of Love Me Do, featuring Pete Best on drums, long thought lost, was to see release on Anthology 1, after it was discovered in 1994 on an acetate by George Martin's wife while she was cleaning out a cupboard. The Beatles went on to record two more original songs, P.S. I Love You and Ask Me Why, both written by Lennon and McCartney during their recent Hamburg trip as a response to Brian Epstein's request to rehearse new material. Although all four songs were cut onto 7-inch acetates after the session, neither of the latter recordings are known to have survived.